A rare map of Britain and lettering for signage painted by artist Eric Gill (1882-1940) are among the lots coming up at auction from a WH Smith archive. 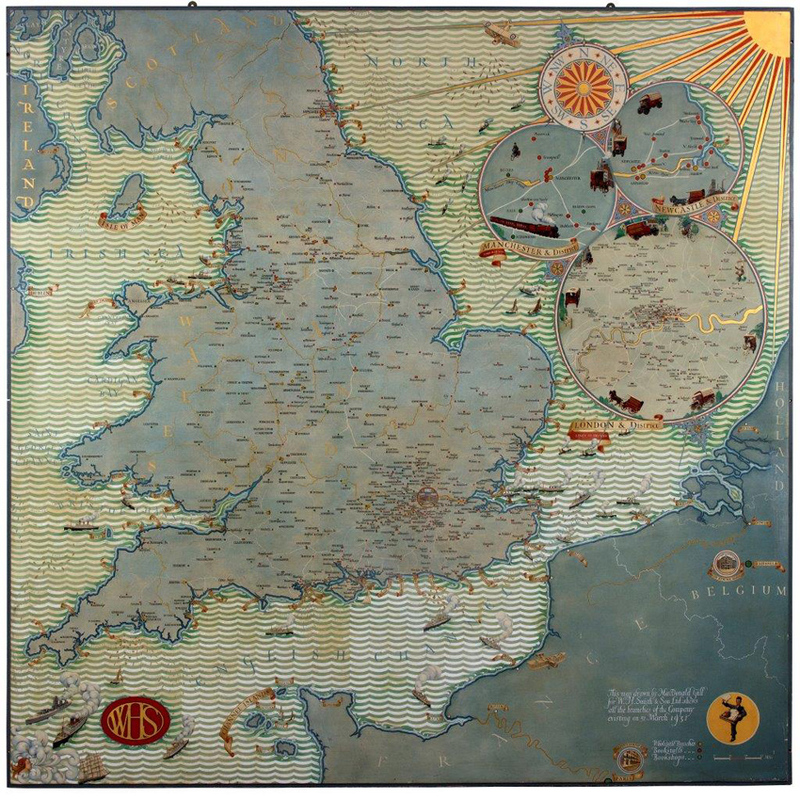 MacDonald Gill painted this scale map of Britain and Northern Europe featuring the locations of WH Smith shops and branches. It is estimated at £20,000-30,000 at Chorley’s modern art and design sale on April 16. A collection of items related to WH Smith is being offered at Chorley’s modern art and design sale on April 16 at Prinknash Abbey Park, Gloucestershire. Established in 1792, the newsagent WH Smith’s heyday in 1930-40s saw it expand across the nation’s high streets ensuring its store front design and eye-catching signage became well-known. Among the lots consigned by The WH Smith Archive in the sale is work by Eric and his brother MacDonald Gill (1884-1947). 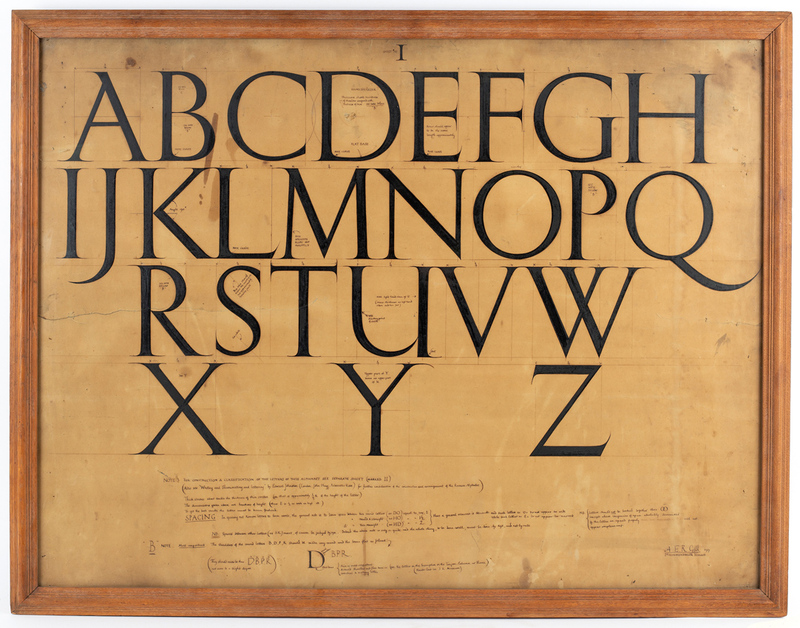 Eric Gill, who designed several typefaces including Perpetua and Gill Sans, created signage for the chain and an example of three framed sheets bearing his hand drawn lettering are offered with an estimate of £1200-1800 at Chorleys. Eric Gill, who designed several typefaces including Perpetua and Gill Sans, created signage for the WH Smith chain and an example of three framed sheets bearing his hand drawn lettering are offered with an estimate of £1200-1800 at Chorley’s modern art and design sale on April 16. His brother MacDonald Gill painted a scale map of Britain and Northern Europe featuring the locations of Smith shops and branches which had been made for the company’s boardroom. It is estimated at £20,000-30,000. A number of other signs from the chain are also on offer including a seven versions of an enamel ‘Newsboy’ hanging sign designed for the company in 1905 by artist Septimus Scott (1880-1966). The versions have a range of estimates between £80-120 and £300-500 depending on condition. 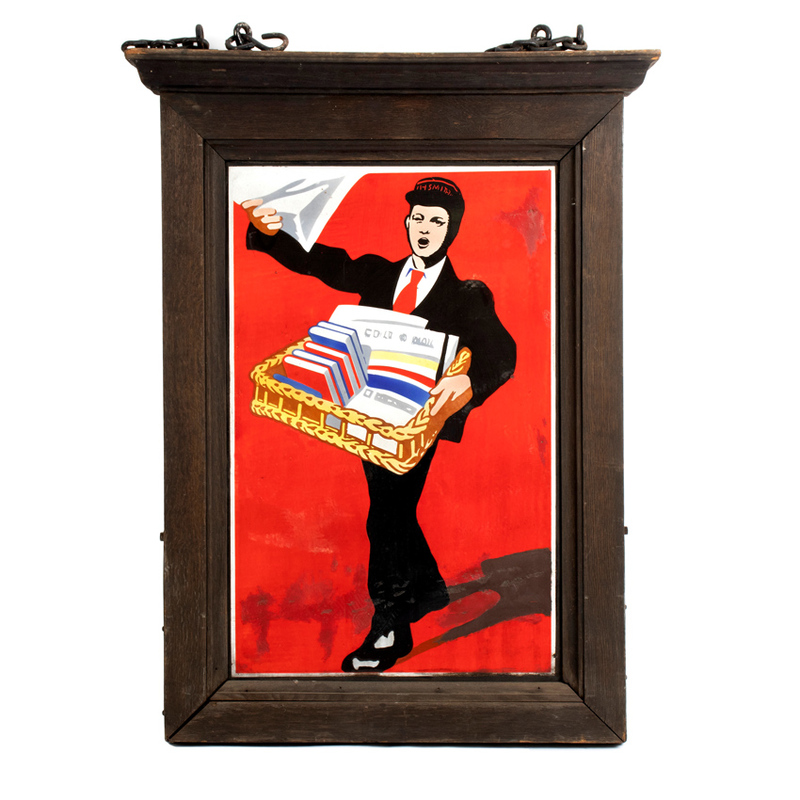 One of the enamel ‘Newsboy’ hanging signs designed for WH Smith in 1905 by artist Septimus Scott (1880-1966). It is estimated at £300-500. A set of four pictorial tile panels made by Carter & Co of Poole and designed for its branches will be offered as individual lots with estimates ranging from £100-300. The WH Smith Archive, a separate entity to the high street chain, is a trust run by the WH Smith family “to receive, store and preserve the historical collection of letters, documents, miscellaneous materials and artefacts relating to the WH Smith family and company” as an “archive for the benefit of historians, scholars and the public generally”. The sale can be viewed at thesaleroom.com.